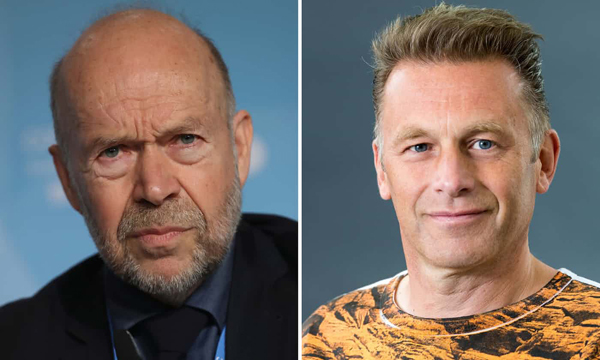 James Hansen, left, a former Nasa climate scientist and naturalists Chris Packham say the Science Museum is undermining its credibility by taking money from fossil fuel companies. Composite: Getty. Chris Packham and James Hansen join other scientists in complaint about ethics. The broadcaster Chris Packham and a a former Nasa expert who led early warnings on climate change are among scientists urging London’s Science Museum to terminate its partnerships with the oil giants BP, Shell and Equinor. Packham and James Hansen are among 30 signatories of a complaint to the museum, arguing it is undermining its scientific credibility by taking money from fossil fuel companies. The group said the museum’s internal reports on the oil firms, released under freedom of information rules and seen by the Guardian, show the Science Museum knew about the environmental track records of the companies but approved sponsorship deals anyway. They accuse the museum of breaching its own ethics policy, a charge the institution denies. Packham said: “Climate change is upon us. We are feeling its teeth tighten and it’s not just us – the world’s wildlife is beginning to seriously struggle. The complaint, organised by campaign group Culture Unstained, comes on the eve of Make the Future Live, Shell’s annual “festival” on energy, to be held in London’s Olympic Park. Shell’s contract with the museum has lapsed but its logo remains on the Science Museum’s site. Equinor, the Norwegian state oil firm formerly known as Statoil, sponsors the museum’s Wonderlab gallery. BP sponsors a research project called Enterprising Science. The Science Museum said all sponsorships were considered in line with its ethics policy, and partners had to accept editorial decisions rested with the museum. Ian Blatchford, director of the Science Museum Group, said: “The Science Museum Group’s stance is that external sponsorship is not only necessary, it is a positive aspect of the way we work. The partnerships have been the target of a years-long campaign against oil companies’ partnerships with cultural and scientific institutions. Critics have alleged the firms have sought to influence the Science Museum’s exhibitions. The formal complaint, submitted to the museum this week, said the sponsorships “undermine its integrity as a scientific institution and are in conflict with both the museum’s own group ethics policy and relevant policies governing the wider museums sector”. The museum’s due diligence report on BP lists the Deepwater Horizon disaster, along with other oil rig explosions, pipeline leaks and pollution incidents. A similar report on Shell includes its lobbying of the Brazilian government over concerns about environmental licensing, as well as its continued membership of the American Petroleum Institute, which the museum notes is “alleged to obstruct climate change policies”. The Statoil report largely focuses on safety issues, including North Sea gas leaks. Culture Unstained said that while the reports recognised some concerns over the companies, they also inadequately analysed the firms’ contribution to climate change. The campaigners are calling for the due diligence reporting to be improved, and for the museum to terminate contracts or commit to not renewing them when they expire.